Certain situations occur where you have to get wet in the rain, have a swim with the clothes that you’re wearing or save your house from hurricane etc. 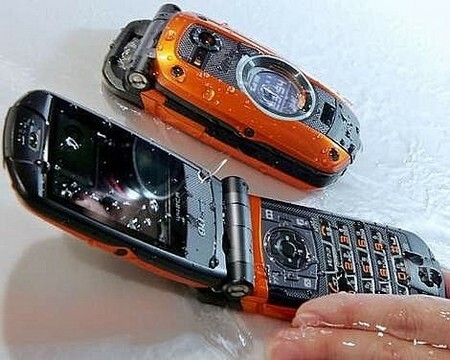 In such situations your cell may get wet. In order to save your cell phone, proper care and action should be taken. Disabling the power source, the first step which we should take when our cell phone has gone wet is we should disable the power that is running through the phone. The circuits will be short out if an electrical current spreads through the circuit. This causes a great damage to the cell phone and it may not be saved. When the cell phone is wet the initial seconds are so critical that we should either switch off the phone or the battery should be taken out. The panel covering the battery should be taken out and the battery should be released. Removal of sim card, after the removal of the battery or power source from the phone the immediate step should be followed by the removal of sim card. The sim card contains messages, important notes and contacts. In order to all these data the sim card should be immediately removed from the phone. Process of drying, There are several ways to dry your mobile safely. But a lot of patience is required for best results. We can make use of a hair drier for the removal of excess water. But we should be very careful and too much of heat should not be used. If too much of heat is used it causes damage to the LCD and circuits. So extra care should be taken while using hair dryer. The hair dryer should be used with its lowest temperature. The distance for the usage of hair dryer can be measured by testing it with your hands. If the heat is too much then increase the distance. Thus the distance can be measured. We can also dry it and a gentle way with the help of electric fan. The cell phone is put in front of the fan for few days. The cell will become dry by the air coming from the fan. After drying your phone you can check whether it is working or not by assembling its parts again. After putting the battery switch your cell phone on and check whether it is functioning properly.